Sometimes opportunity knocks; sometimes it takes a free kick. How else to describe that life-changing moment, in 1987, when Rasesh “Sesh” Thakkar, the African-born son of an Indian accountant, fresh out of the University of Central Florida, accepted a soccer mate’s dinner invitation and wound up the protégé of a British billionaire. Thakkar is senior managing director of Tavistock Group, overseeing the Central Florida investments of Joe Lewis, including Isleworth and Lake Nona—one of Central Florida’s highest-profile developments and home to the UCF Medical School, Sanford-Burnham Institute, Nemours Children’s Hospital, a new $1 billion VA hospital and most recently the U.S. Tennis Association. What Thakkar took for a casual family dinner was actually a job interview. His buddy, Charlie Lewis, had flagged Thakkar as a respected friend. Charlie’s father, Joe, wanted to see for himself. Dinner begat tennis, and tennis turned to talk. During one such talk, Lewis made Thakkar an offer he couldn’t refuse. “He said, ‘Sesh, let’s go into business together,’” Thakkar recalls, “and he pulled out of his pocket this little crumpled up, torn up newspaper ad.” The advertisement announced that the Resolution Trust Corporation (RTC), the government agency established to liquidate the assets of failed savings and loans, would hold its inaugural loan auction in Orlando. They attended the auction together, but Lewis didn’t bid. Instead, he bought the unsold inventory afterward at the government’s “minimum reserve” price—the lowest acceptable bid. That turned out to be SafeMark, an Orlando-based maker of hotel safes—the first to be manufactured in the United States. Lewis sold the safe company in the early 1990s and sent Thakkar to work with Charlie overseeing the family’s resort and distribution holdings in Argentina. Thakkar worked in London a few years before returning to Orlando in 2003, where he was placed in charge of Lewis’ real estate holdings. It is at Lake Nona where Thakkar rose to prominence, rallying from a near-miss courtship of Scripps Research Institute to land the Sanford-Burnham Institute in an all-in recruitment initiative that engaged the region’s entire economic power elite. He replicated the formula successfully to draw more than $3 billion in investment, including the USTA (which will build the nation’s largest tennis training facility here), the hospitals, and the medical school, creating more than 4,000 jobs over the past decade. There are currently 3,000 homes at Lake Nona and plans call for a total of 11,000 homes by 2026. All homes, by the way, have one gigabyte wi-fi, roughly 200 times the speed of the typical home wi-fi connection. Thakkar’s full-on attitude extends to the community at large, where he was an early supporter of the “Build Them All. Build Them Now” public venues initiative. action extends to matters of love. Thakkar and his wife, Windermere dentist Rupal Thakkar, met at an executive speed-dating event in Manhattan. 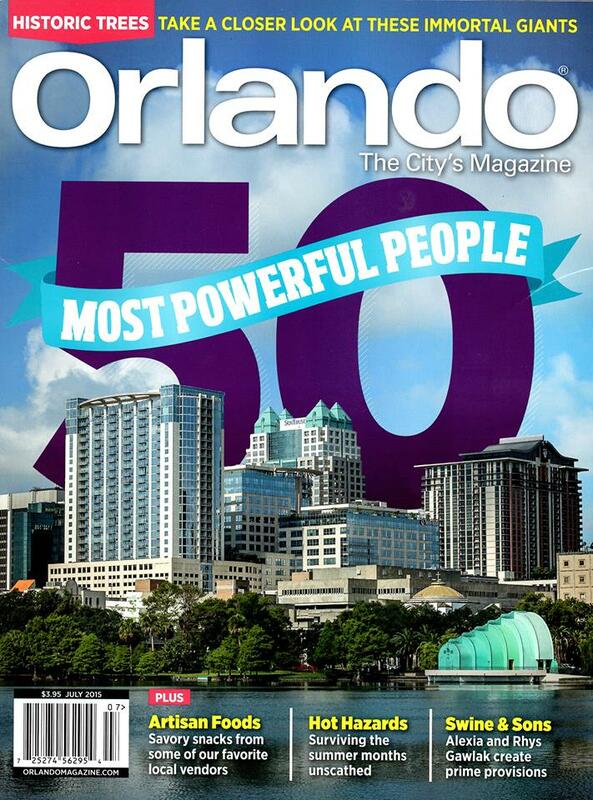 Enjoyed meeting and writing about Sesh Thakkar of Tavistock, #15 on Orlando Magazine’s 2015 list of the 50 Most Powerful People in Central Florida.